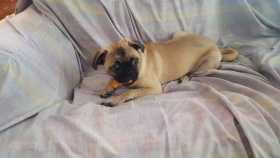 A small pug lost at the area of s 4th street Alhambra CA 91803. Please contact me at 9172442522. Thank you very much!